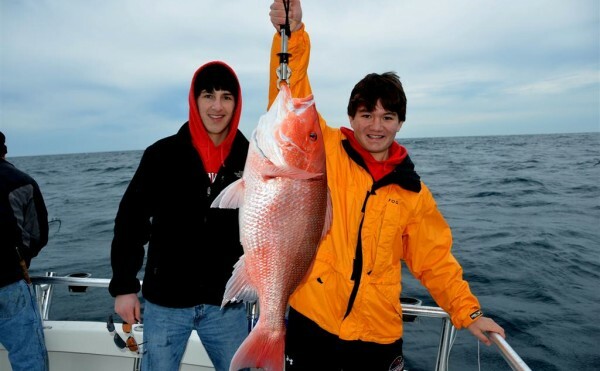 2014 Alabama Spring Break Fishing trips . Spring Break 2014 on Alabama’s Gulf Coast is almost here and now is the time to plan your charter boat fishing trip in Orange Beach and Gulf Shores. The winter weather has been mild so far and the offshore bottom fishing is pretty good. 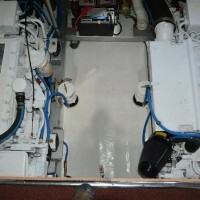 We are excited about this year and are adjusting our business to ensure you have the best experience. 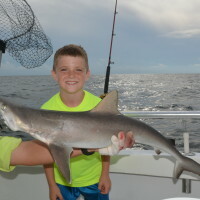 We have introduced the Super 6 Hour fishing trip this past fall and it has been extremely popular among families who want a little something extra out of their fishing charter. For just 12 extra gallons of fuel or $50 more, we take you straight to the reefs that are a little farther offshore so you will have a chance to catch a fish of a lifetime. Instead of staying close to shore like many of our competitors do, we are committed to offering you a whole lot better trip in exchange for a few gallons of extra fuel it takes to get you there. That’s a good idea. 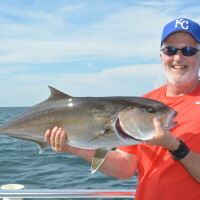 The bottom fish like red snapper, greater amberjack, triggerfish, vermilion snapper, grouper and many more species are not affected by the cooler temperatures as much as trolling fish are. Also, there is hardly any bait fish close to shore during those cooler months for them to feed on. For that reason, reef fish are found a little farther offshore. That is why the Super 6 hour trip is set up the way it is. The super 6 also gets you out to areas that see less fishing pressure during the year and to where you have a chance to catch a better quality fish. Because the seasons may not be open, you will most likely have to release them. That does not bother our customers, because an overwhelming majority of them want a memorable trip combined with some incredible light tackle action that can be found nowhere else. 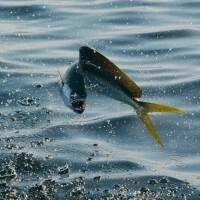 The larger fish live farther offshore where there is ample food supply year round. The reason is, the fishing has been good close to shore for the past five years has led to over harvesting and the fish becoming leader shy. Because most everyone has stayed close to shore, thus cashing in on the limited bonanza, they have over fished those areas and put so much pressure on the fish, they won’t hardly bite traditional cut bait. That is why we feel that is is in your best interest to get you farther offshore, so you will have a chance to catch fish that have not seen the fishing pressure. If you are considering a short trip like the 4 hour, please read the following information so you can understand why these trips may not be a good option during spring break. The 4 hour trips are trolling only, which means we do not bottom fish for red snapper on those trips. They are best during the summer months, or when water temperatures get above 72° F. This is because there is plenty of bait fish or food for the migratory fish to find and eat during those summer months. The trolling fishing really maxes out during the mid to late summer months when water temps get close to 85° F. This is when the bait fish move close to shore and the larger fish like mackerel follow. 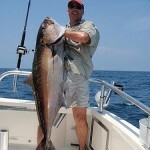 Other factors like excessive rainfall can have an affect on trolling fishing. During July 2013, we had 49 inches of rain and it really lowered the salinity of the water near the shore and caused the trolling fishing to suffer a bit. That is because the bait fish moved farther offshore to where the water quality was better. Because of this unusual phenomenon, many of our guests chose to upgrade to the super 6 hour trip in order to increase their chances of catching fish. They were all glad they did, because we were able to put them on quality fish and everyone had a blast catching them. Now the excessive rainfall was an unusual event, but by explaining what was going on to our customers, they were able to make a better choice that created a win/win for their family vacation. If you are wanting to increase your chances of catching a fish, by all means, book the super 6 hour trip. We promise to always put your happiness before our personal gain.